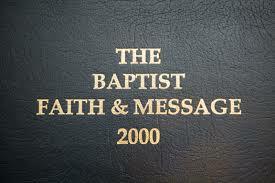 The 2000 Baptist Faith and Message is a poorly thought out document on several fronts. I've been saying this for years. The 2000 BFM is supposed to be "the doctrinal parameters of Southern Baptist missionary cooperation," but the truth is, most Southern Baptists ignore the 2000 Baptist Faith and Message except in the areas they wish to emphasize. It's more a confession of convenience than it is a confession of conformity. As it should be. Baptists place preeminence on the Scriptures. God's Word alone is infallible. Our confessions are not. We ought never to mistake our interpretation of the Bible with God's inspiration of the Bible. So, as I point out to you where many Southern Baptists ignore the 2000 BFM, keep in mind that I'm glad the Bible is our infallible guide and am just reminding you that the 2000 BFM is a fallible interpretation of the Bible in which we believe. Southern Baptists have changed the Baptist Faith and Message three times in the last 100 years (1925, 1963, and 2000), and a fourth time will come soon. Let me give you a couple of examples where the current 2000 Baptist Faith and Message is mostly ignored by Southern Baptists. If your church doesn't dismiss everyone who is not a "member" of your local church before observing the Lord's Supper, you are in violation of the 2000 Baptist Faith and Message. Many Southern Baptist churches, if not a majority, do not dismiss everyone before observing the Lord's Supper in an attempt to exclude non-church members. Our church does not dismiss our guests from other churches because we believe those who name Christ as Lord from other denominations will be around the Lord's Table in heaven (Presbyterians, Anglicans, etc. ), so why should we exclude them from the Lord's Supper now? "Thy Kingdom come, Thy will be done, on earth as it is in heaven." We place the Scripture above the BFM at our church. Civil government being ordained of God, it is the duty of Christians to render loyal obedience thereto in all things not contrary to the revealed will of God. The church should not resort to the civil power to carry on its work. The gospel of Christ contemplates spiritual means alone for the pursuit of its ends. When Vice-President Pence spoke at this year's 2018 Southern Baptist Convention, he spoke about the United States government bombed the Taliban and other radical Islamicists and how "the radical Muslims are now running from us." Several Southern Baptists were offended with my tweet. One responded by saying, "You are so ignorant! Both are needed. The government paves the way for our missionaries by getting rid of the radicals." Anyone who thinks like that violates the 2000 Baptist Faith and Message. But I would fight for the right of those Southern Baptists who stood and applauded Vice-President Pence's statement that the United States government was bombing the radicals, and "and they are running from us." You may be violating the 2000 BFM, but your conscience and freedom to interpet the Scriptures as a “priest unto God” are a much better guide for your life. Again, Southern Baptists have changed the Baptist Faith and Message three times in the last 100 years (1925, 1963, and 2000), and a fourth time will come soon. Why does the BFM change? Because at a point in time a majority of messengers to the Southern Baptist Convention think they understand the will of God, but one day the majority wakes up and say, "Ooops. It is possible to see things another way." It's amazing the changes that occur in the Southern Baptist Convention after a couple of decades. It's amazing how the NFL can change a command of God into a matter of conscience. The 2000 Baptist Faith and Message greatly erred in matters of "male authority" and "pastoral authority." The writers emphasized "a wife's submission” yet ignored “mutual submission." (Ephesians 5:21). The BF&M 2000 committee - rejected every appeal to include Ephesians 5:21 which commands men and women to be mutually submissive to one another. In an attempt to battle perceived "feminism," the Southern Baptist Convention has fallen into the opposite pit of "patriarchalism." Both errors destroy families, churches, and conventions. The Bible requires all Christians to pursue relationships of mutual submission and of reciprocal servanthood. Feminism and patriarchalism both desire to control by power. A biblical Christian desires to serve others first through humble character. My wife tells me that I am a visionary. She is usually always right. Mutual submission will be part of the next Baptist Faith and Message. But what about "women pastors?" The answer to that question should always be: "What saith the Scriptures?" As has been shown in this post, Southern Baptist churches and pastors disagree among ourselves as to our interpretations of the infallible Scriptures. If Southern Baptists truly believe in local church autonomy (and we do), then answering that question should be up to the local congregation, not a national denomination. We are not Roman Catholics with a top-down hierarchy. We are Southern Baptists with grassroots leadership. We have a problem with "authority" in the Southern Baptist Convention. Listen to Dr. Gilbert Bilezikian, Professor Emeritus of Wheaton College - and take him up on his challenge. 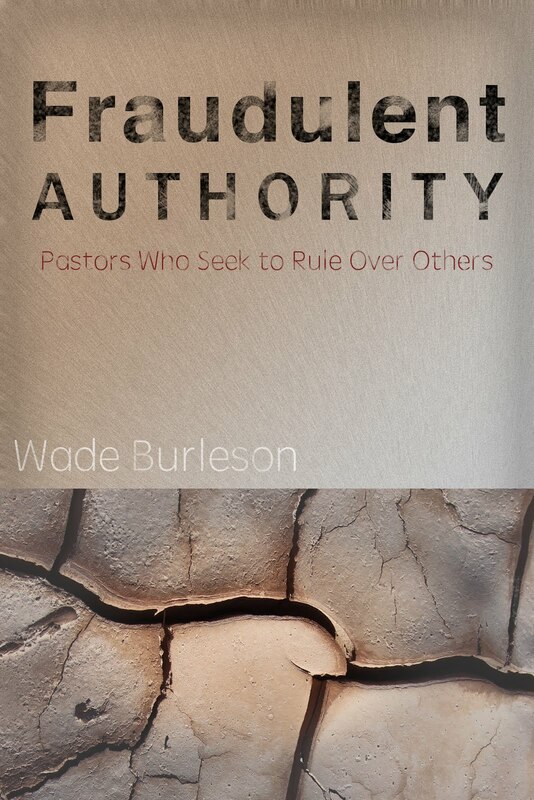 The practice of ordaining select people to hold positions of authority in churches should be viewed as an ecclesiastical tradition rather than as a biblical prescription. Thus, Paul and Barnabas were already among the recognized prophets and teachers of the church in Antioch when they received the laying on of hands, not to make them prophets or teachers but to commission them for a short-term sub-ministry (Acts 13: 1-3). It was their recognized spiritual gifts as prophet/teacher that had validated their ministry, not the subsequent laying on of hands. The organization of the Christian community is never described as a gender-based hierarchy in the Scriptures. To the contrary, it is the doctrine of the community of oneness that sets the norm (Matt. 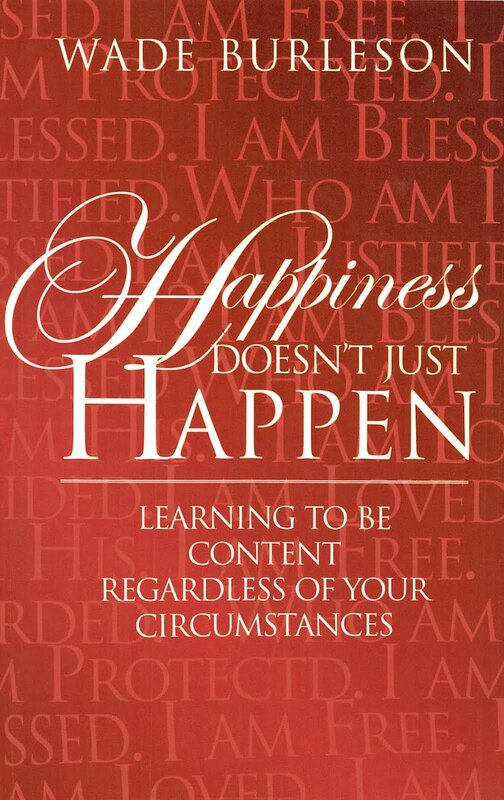 19:4-6; John 17:11, 20-23; Acts 4:32; Rom. 12:4-5; 1 Cor. 12:12-14; Eph. 4:4-6; etc.). There is no text in the Bible forbidding women to be ordained because, according to the New Testament, all believers without exception are ordained by God to do ministry on the basis of their spiritual gifts (Rom. 12:4-5; 1 Cor. 12:7, 11; 14:31; Col. 3:16; 1 Thess. 5:11, 1 Peter 4:10-11). The Scripture absolutely forbids racial, class and gender discrimination by reason of the oneness of the church as a body. This oneness is consistently defined in the New Testament as full participation of the total constituency in the ministries of the church. This and other teachings of Scripture rule out gender-based hierarchy as a structure for biblical oneness. I predict Southern Baptists will one day wake up and say, "Wait! There's another perspective on this issue!" Just like we did the Lord's Day. The way that I read Article VII is that baptism is a prerequisite for church membership and that it is a prerequisite for the Lord's Supper, but not that church membership is a prerequisite for the Lord's Supper. In other words, I could permit a baptized member of another church, or perhaps a baptized person not currently a member of any church, to partake of the Supper. In the next paragraph of the BFM, it states, "The Lord's Supper is a symbolic act of obedience whereby members of the church, through partaking of the bread and the fruit of the vine, memorialize the death of the Redeemer and anticipate His second coming." Now, does that mean members of the local congregation or members of the universal church? I would think that the reading means the local congregation, since we don't normally consider baptism being necessary to be a part of the universal church - that baptism is done by the Holy Spirit. Additionally, the privileges of church membership are generally focused on the local church, which again would put the emphasis on a local congregation instead of the universal church. I do, however, fully support you in your understanding of the Lord's Supper and would encourage you to follow your conscience as you follow Jesus. The way it is written (and Baptist polity of the past) is that membership is a prequisite for the Lord’s Supper. However, your “interpretation” of the 2000 BFM is a legitimate one. It is ironic, however, that we are reduced to intepreting the 2000 BFM instead of Scripture. A person or church may desire to cooperate with like-minded followers, but the document is written and used in such a way as to push people out instead of drawing them in. The like-mindedness becomes narrower and narrower. I go with the 'Open Table' interpretation. Even Judas Iscariot partook of the last supper. It seems to me that the issue of women as pastors is a local church issue. Any local church that believes the biblical model includes endorsing as women as pastors can, and should, do so. Of course that would mean they're no longer a cooperating Southern Baptist Church, but surely that wouldn't prevent them from following the biblical model as they understand it. Or at least I would hope it wouldn't. That would indicate that they choose membership in a convention over biblical fidelity. My point is you can disagree with the 2000 BFM and remain Southern Baptist. It happens all the time. But it seems to me you're going further than that. You're also advocating for changing the BFM to reflect your position. My question is, why not advocate for that change in your own local church? And if your local church and the SBC don't make changes in such on important biblical point, why stay there? Wouldn't staying there indicate that to you it isn't a very important biblical point? It would be more honest to issue blank pages as the next BFM. It is not binding, and it is unenforceable. Local autonomy trumps all. Before I left the SBC I wrote the various denominational (sic) people asking for the official definition of a Southern Baptist Church. No one knew. The BFM isn't much. Compare it to the Westminster Standards, and you will see why. Keep the tertiery issues over which we disagree out. First of all I want to say I really appreciate the grace you have shown in light of recent ugly things said about you online. I also appreciate how you have extended forgiveness to others. I think there is a misunderstanding. If you notice again, it does not say to exclude members of other churches on the article concerning "baptism and the Lord supper". I think this post misrepresents that article. Believer Baptism being a prerequisite to the privileges of church membership (which entails the Lord supper) is an historic Baptist confession. Look at the New Hampshire confession of faith, The Abstract of Principles, or the Secon London. Baptists have always believed that baptism is a point of obedience to the Lord Jesus Christ. And, other denominations such as Presbyterians believe also that their view of baptism is a prerequisite to the privileges of church membership and the Lord supper. The Baptist Faith and message on this point is only standing were Christians have historically stood. The article also allows for local churches to permit other denominations to join them at the table. In our southern Baptist churches, baptism of a believer should be the prerequisite to membership in the local church which gives also the privilege and access to the Lord supper which is held accountable by that local church and administered by its pastors. "3) That any group of Baptists, large or small, have the inherent right to draw up for themselves and publish to the world a confession of their faith whenever they may think it advisable to do so." And remember .. the Preamble is an integral part of the BF&M. And then there's "The Holy Bible was written by men divinely inspired and is God's revelation of Himself to man.". whereas the 1963 version states: "The Holy Bible was written by men divinely inspired and is the record of God's revelation of Himself to man." That takes the emphasis off the deeds and actions of God and puts it on the writing. It also says God doesn't reveal things to us any more. Plenty of reasons not to like the 2000 version. Incidentally, one of my most memorable Communion services was one in which the pastor, at the conclusion of the sermon, led the people who wanted to be saved, in the "sinner's prayer". After which, he said what was the next thing to do after being adopted into a family? He said "Having a meal!" So they served communion to all who would partake, including those who obviously didn't have time to be baptized first. For many many years Jews have had the Mishnah and Talmud. They have no creed. One can read of the sharp disagreements in interpretation but they remain focused on what they view as scripture. When there is disagreement and a variety of opinions there is scholarship. When the requirement is conformity few know their Bible but some may know what someone else believes because they read a statement. When I taught college I doubt that more than five percent of the Christians could give reasons for their faith. Someone may know a creed but when they sit in class and a student or professor says something they hide because they do not know what the Bible actually teaches. When was the last time we sat in a church that actually shows people how to study their Bible. Not just do a Bible study but actually study the Bible. Can you share with us the name of 5 or 6 churches that put the BF&M2K over the Bible? I’m unaware of any. I will glad to contact them and see how they respond to you naming them as doing such? Who gets to decide what is a tertiery issue? Who has the spiritual authority to say what is and what is not... in where Christians must place themselves under such authority to be harmony with other Baptists? With the apparent ascendancy of neo-calvinism in upper reaches of SBC, I wonder whether there may eventually be a move in the direction of more rigid forms of creedalism. If one defines "tertiary issues" as "those things which do not hinder salvation or sanctification", perhaps the example of Paul may be instructive. He had an astonishingly small list of non-negotiables -- belief in the resurrection, allegiance to Jesus as Lord, high ethical standards but release from other aspects of the yoke of OT Law. 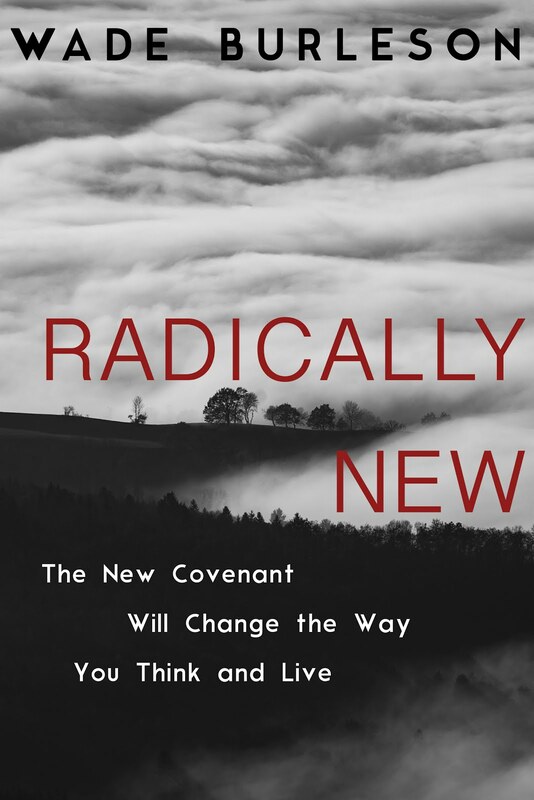 Imagining that Paul were time-travel and visit a present-day conservative church, baptist or reformed, I reckon that he would perceive his four non-negotiables, but he would be distressed with many other things, including the authority structures and the suppression of the Spirit-giftedness of much of the congregation. Jon Estes: How about the requirement to be a baptized believer to take communion? How many issues are you willing to go to the stake over? I can think of a whole list of things Christians argue and bicker over and I wouldn't go to the stake over any of them. "How about the requirement to be a baptized believer to take communion?" The reasoning in conservative Presbyterian churches for this requirement is worth contemplating. As I understand it, the elders are concerned about the possibility that someone might partake improperly, with dire consequences, and so insist on membership in order to have authority to oversee the person well enough to satisfy themselves that everyone who approaches the Table is indeed not in danger of drinking judgment on themselves. But what Paul wrote to Corinth was simply, "a man ought to examine himself..."
This is perhaps a really good example of the kind of authority structures that might distress Paul were he to time travel and visit present day conservative churches incognito. Somewhere around 2003, my wife Alexis was in a lunch room at Southwestern Seminary where there was an intense discussion about the BF&M 2000. Alexis was curious about the ruckus, so she innocently asked, “What is a Baptist Faith and Message?” There was a stunned silence in the lunch room for a time, times, and half a time. You know what? Even after a response like that, Jesus still talks to her! Through it may be hard on the flesh, relationship is really very simple. Can you say that those who hold the position you mention do so because it is in the BFM2K and it is not how they interpret scripture? Jon, I have more positions that a Chess Match. Which one were you referring to? I appreciate your service, but on Father's Day 2018 we've got far bigger problems than the BFM2K IMHO. Children are literally being ripped away from their families by a government whose chief law enforcement official quotes scripture for their ungodly actions and - if polls can be believed - continues to enjoy overwhelming support of Evangelical Christians, many of them who are also Southern Baptists. This breaks my heart for many reasons and makes me question whether many of those I believe are brothers and sisters in Christ are, in fact, Christian. In any event I shall continue to pray that God lifts the scales from their eyes so that they can see what is being done in their names to "the least of these." Finally, on Father's Day 2018, I will conclude by praying for the family of Marco Antonio Muñoz and those in office I believe will have to stand in judgement for what happened to him & those who would use scripture to justify it. If you do not recognize his name, a google search will tell you what you need to know. Bob C. I am referring to the position mentioned in the question you asked me. We in the United Mathodist church practice open communion The pastor always reminds us that it’s not a United Methodist table but Gods table and anyone who wants to participate is welcome to do so. It really is as simple as that with UM. Jon: Gotcha. No, I cannot say how others think. I have enough trouble explaining how I think. I do know what Scripture says about it, though, and don't see anything there on that. PErhaps you could point out some stuff? "My wife tells me that I am a visionary. She is usually always right. Mutual submission will be part of the next Baptist Faith and Message." Now THAT would be 'biblical' and 'Christian' and 'orthodox'. Misogyny never was a page out of Our Lord's teachings, no. I'm not even sure how Patterson got away with all the patriarchy mess, because at the same time, he is preaching 'inerrancy' of sacred Scripture, so I guess he meant his own interpretation was 'inerrant'. Well, we saw what his own interpretation led him to do to innocent women, and it was NOT 'of Christ', no. The truth of Christianity is always in the way it is lived out: watch what people do, not what they say. And if any 'interpretation' of the Bible leads to harming innocent people, it's a wrong interpretation. "Finally, on Father's Day 2018, I will conclude by praying for the family of Marco Antonio Muñoz and those in office I believe will have to stand in judgement for what happened to him & those who would use scripture to justify it." Just with the damage of the last two months, I think it will take our country thirty years to get over the images and the shame Trump has brought upon our land. Already, other countries are asking 'why?' are Americans doing this to children! So Trump is in control, but we as a country will lose our moral credibility over something so evil that there are no excuses for it. Thank you for speaking up. As for those who quote Scripture to justify child abuse, I leave to God to sort them out as only He can and will do. This is a very painful time for our country, and for Trump to choose the months of May and June (Mothers Day and Fathers Day) to hurt these children and their parents just makes his evil-doing more vivid. Our church stands with the 1886 “Baptists General Convention of Texas”, that abides by the BFM 1963.
vs. BFM 2000: “…governed by His laws…” [Rex ask: “Does “governed” suggest a ‘top down rule’? Is anything wrong with the BFM 1963? If not why can’t the SBC switch to it? Wade was making the case that there are churches out there putting the BFM2K over the Bible. I asked him to name some and I would make contact to see. I also asked who gets to decide what is tertiary and what is not because he inferred that such things like baptism shouldn’t be in the BFM2K. For those who think this is a primary issue for their church and not a tertiary one, who gets to decide for the autonomous church? Who says we can work together with when we differ on these things? Wade does. But why would anyone want to work with someone who continually tells the one they say they are want to work with, they are wrong? "BFM 1963 states: “The criterion by which the Bible is to be interpreted is Jesus Christ.”"
it means you can't use the Bible to justify taking a little child away from its mother. The Royal Law of Christ supersedes ALL unjust laws. It's not CHURCHES putting the BFM 2000 over the Bible. It's the CONVENTION. “The criterion by which the Bible is to be interpreted is Jesus Christ”; to me, it means interpreting the Bible through the eyes of Jesus. I disagree. The BFM@K is a product of how those who understood and accepted the truths of od's Word. Just because you disagree with parts and they do not... does not mean they put it over scripture. You are making a huge accusation of some of God's finest in being anti-scripture simply by producing the article and asking the convention to have a statement of faith. An understanding of our basic position on specific subjects in scripture. Having such a document closes the door to those who say they believe the Bible but interpret it completely in ways that we would say is off base. That's fine if you do. Though I think most people would disagree with you on this. I think I have read you on we all could be wrong on things... even you. I agree and will double down and say you are on this one. Using the BFM2K to explain our position on doctrinal issues is not making it superior to scripture... even if you want to make it sound as if it is. I complained to IMB President, Rankin, that the Bible is our doctrinal guideline. He replied we couldn’t say that because the Church of Christ had that as their slogan. Will anyone answer why can’t the SBC use the BFM 1963? "For me, it means you can't use the Bible to justify taking a little child away from its mother. The Royal Law of Christ supersedes ALL unjust laws." I am in full agreement with your comment! How did we get to this place of misusing Scripture in this way? "“The criterion by which the Bible is to be interpreted is Jesus Christ”; to me, it means interpreting the Bible through the eyes of Jesus." I am not sure what 'through the eyes of Jesus'means. Are you saying we should read the Scripture, the way Jesus reads the Scripture? This is NOT a tertiary issue for me! I can not support a BFM that is not clear to me on this issue. Understand, that I do NOT agree with the BFM2000. you wrote: "How did we get to this place of misusing Scripture in this way?" I think some people do believe they have to 'follow orders' or 'obey the law' EVEN when the law is unjust or the orders are cruel and hurtful to innocent people . . . .
"Having such a document closes the door to those who say they believe the Bible but interpret it completely in ways that we would say is off base." So you are making "male authority over women" a doctrine as important as "the Person and work of Jesus Christ?" Sorry, but I couldn’t find where a child was taken from her mother; just the girl was crying as her mother was being searched. Can you tell what happened? I know you write truth. "In the case of the 2-year-old Honduran girl, the mother told me they had been traveling for a full month and were exhausted. They were taken into custody with a group of about 20 immigrants, mostly women and children at about 11p.m.," Moore tells FOTO. "Before transporting them to a processing center, transportation officers body searched everyone and the mother was one of the last. She was told to set the child down, while she was searched. The little girl immediately started crying. While it's not uncommon for toddlers to feel separation anxiety, this would have been stressful for any child. I took only a few photographs and was almost overcome with emotion myself. Then very quickly, they were in the van, and I stopped to take a few deep breaths." I'm not sure if it is known what happened to the mother and the little girl after this photo was taken, but it looks like they were put into a van and taken to a 'processing center' . . . if the mother was 'detained' at the 'processing center', likely the little girl would have been taken from her under the new policy . . . I think we may find out soon, though, because a LOT of people want to know about this little girl . . . If you find out first, then you can write to me here about the child. How's your medical trouble going? "It's 11pm in the US border town of McAllen. The cries of a two-year-old Honduran asylum seeker in a bright pink sweater pierce the night air. She is being taken from her mother." REX, I'm looking for a major news network to report on what happened to this child. If the little girl was separated from her mother, it would be like when slaves were sold that separated families. It’s sad enough to make the Lord cry. My ankle problem still has me on a cane. I've been upset for a week over what is happening to these children. This is a moral crisis for our country. We can do better than this, surely. These days, they can do knee replacements and hip replacements, maybe someday they can do ankle replacements . . . who knows? Have they tried cortisone shots? I what to apologize for that question about ‘why’ we misuse Scripture? A few hours after I sent it, I thought it that was unfair to ask such a broad question and expect an answer in a blog. Especially of someone I don’t know. (Now for those I abuse regularly, it doesn’t bother me much). I have been asking myself that question for 50 years. If someone were to ask me, to give my opinion in half a page; I don’t know where I would start. But, you handled it masterfully and with grace. If you would allow me to read in between the lines, it reads like you know a lot more about this. This is interesting because as I was writing a response, to your response, to my unfair response, I began thinking about why and when I ask some of the questions I do. They are due, in part, to what happened to us in Baptist churches as children and teenagers in the 50’s and 60’s. SOME of these questions come out of my pain due to religious manipulation. That mean religious spirit of the scribes of Pharisees spares neither gender nor age. It is little wonder that some of us are wounded leaders in the SBC today. P.S. Christiane, after I read your post, I did jot down a couple pages of thoughts while I was at work. So, your considerations were not unpondered. "So you are making "male authority over women" a doctrine as important as "the Person and work of Jesus Christ?"" 1) What Doctrine do you make as important as the Pweaion and work of Jesus Christ? 2) Seeing scripture teaching that God sees genders as equal but has given us different roles to fulfill in His Kingdom does not negate the value or importance of a woman. I have been very clear where I see God showing equality in worth, value, and talent but He determined the different roles, not man. 3) If this is a tertiary issue to you, why are you making so much of it? If you want there to work with people who hold the opposite of you... claiming they are wrong over and over does not make your case. All it does is say its ok for you to be wrong and I am willing to let you be wrong but the end of the discussion is you are wrong so don't ask me to even accept your wrongheadedness (sp?) just let me continue to let everyone know how wrong you are. What you really want is for them to compromise their belief in how scripture speaks to this, as you see it. Bot a good foundation to build a working realtionship. Maybe that is not the end goal you seek. It's just a way to show you want to be the nice guy. "It's not CHURCHES putting the BFM 2000 over the Bible. It's the CONVENTION." 1) Do you mean by convention everyone in the SBC? If so, this means you too. 2) Do you mean certain persons, entities or committees? If so, this would be easy to find out. 3) Do you mean... what do you mean? Please tell me. I will attempt to make contact with any person, entity or committee you claim does this in the convention and get their response to your accusation. More than likely anyone I contact in the SBC will say no... scripture first and you will probably say they do exactly what you accuse them of but they just don't know it. Your accusation... your proof to back it up. "It's amazing how the NFL can change a command of God into a matter of conscience." That sums up a lot of the power politics we have been subjected to. Only in questioning do we shed light on the contradictions and bring sanity to our life as a community of believers. Rex Ray, I guess I'm not the only one who cares about that little child. She has become iconic but we still don't know what they did with her. Very concerned. So much news is ‘fake news’ against Trump. Time Magazine said they knew when they put the picture of the little Girl and Trump saying “Welcome to America” on their cover that the story was not true, but it was too ‘good’ to pass up. If some of this ‘fake news’ got sued for slander, there might be less of it. DOES ANYONE KNOW ANTHING WRONG WITH THE BFM 1963? IF NOT, WHY DOESN’T THE SBC GO BACK TO IT? PATTERSON’S BFM 2000 IS AS BAD AS HE IS. Why have a BFM at all? With a diversity of opinion there is scholarship. Conformity is nothing more than a duplication of the same thing. When that is the case only one person is needed. Can you give examples of that? The “diversity of opinion” produce countless religions, divorce, arguments, fights, murder, and even war. Is the sermon of the mount from extrabiblical sources? Is the sermon on the mount from the OT? Is the sermon on the mount the actual words of Jesus? is the sermon on the mount lessons about discipleship? Was the sermon on the mount a 15 minute teaching? Was the sermon on the mount an all day teaching? Was the sermon on the mount delivered on a mountain or hill? Matthew 5:14-15 "For if you forgive others for their transgressions, your heavenly Father will also forgive you." "But if you do not forgive others, then your Father will not forgive your transgressions." Is this a quote or a summary of what Jesus said? Are we to always to forgive. Is there ever a time when we do not forgive? Should church government be comprised of elders. Should there be a plurality of elders or single elder? Should deacons be the spiritual leaders of a congregation. Should the pastor and deacons be elected by a majority vote or should they be appointed? Should the leaders in a church be voted on and elected by a majority vote? Do the only men who qualify for elders are those who are actively making disciples. Can disciples be made in a small group. The only way to make disciples is through personal discipleship? The way to make disciples is through the coming together of three avenues: corporate worship, small groups and personal discipleship? If all your questions are examples of “With diversity of opinion there is scholarship”, what’s the point? In other words I don’t see “scholarship” in any of your questions; I just see confusion. Let me give an example of what I believe. I believe the vast majority Christians have never discipled anyone by doing as Jesus commanded in Matthew 28:19, 20. They have never been taught to make disciples. They have never done as Jesus did with his disciples.They "leave it up to God." In Acts Paul says they are the overseers. I also believe that implied in the qualifications for leaders is the person must be making disciples in the present. If he is not making disciples then how will he lead the church is making disciples? 2 Timothy 2:2 says we are to entrust these things to faithful men who will teach in such as way that others are able to do the same thing. When I take a look at what Jesus did I see no evidence of a church building and someone standing in front of a bunch of people teaching them to serve, share their faith, sending them out two by two and making disciples. When Jesus said to make disciples he was talking and teaching about those who would "carry the ball" once he left. He did not leave it up to the paid professionals but left it for everyone to follow. I think you hit a ‘home run’. I would really, really like to ask you a question, but I don’t yet know how to frame it. I was afraid you might leave this blog before I could sort it out. So, if you can, I humbly request that you might check back for another couple of days. The quandary in my mind has to do with the relationship (or lack of) between institutional churches, The Great Commission, and 2nd Timothy 2:2. In the meantime, if you would like, you might ask yourself some intriguing questions on my behalf and then answer them. You may be as gentle or as smackdown as you like. Sorry, that I did not get back sooner. I have a whole flock of oxen in the ditch. Are you presently aware of disciple making in depth (as you understand 2 Timothy 2:2) in an institutional church? I have experienced duplicating discipleship (as I understand 2:2) outside professionalism, but not within. You may consider this a rhetorical question if you like. PS . . . I’m headed back to the ditch. "Are you presently aware of disciple making in depth (as you understand 2 Timothy 2:2) in an institutional church?" Yes, according to them. When looking at the numbers they are at best about five percent. When taking a look at how many are in small groups the numbers can approach 100%. So we must understand what a disciple of Jesus is. When I consider 1 John 2:12-14 there are three levels of maturity and if you consider others who may attend you can include the dead. Children - They were loyal to the name of Christ, they know God. Their sins have been forgiven. Young men - They have overcome the evil one. They are full of energy and strength. Fathers – They know God who has been from the beginning. They are mature believers with long and rich experiences. The have come to know Him and still know Him. I pastored a church that I was able to lead in making disciples. I think I had as good of success as any could have had and it also had its share of problems. Paul had problems. Jesus had problems. It takes time, direction, and patience which is not an easy fast fix. There are also the different types of soil. Some want to give you trouble while others are like a hungry dog eagerly awaiting food. I think there are too many pastors who want to make disciples and they get in a hurry and make poor decisions along the way. I believe what Jesus and Paul did was to teach them to make disciples while bringing them to a point where they knew what to do and did it. Leaders are identified by their followers. They must prove their leadership by the men they lead. If there are any issues the leader can help the men with those. If a man does not reach anyone I do not give him more responsibility. Too many churches have small groups and need leaders to lead those groups. It is at that point when they stifle the discipleship process and burden the person with something he does not know how to do or is not ready for. There must be a wrestling with God and time to develop the person. Just because the demand for leaders is high does not mean it is our job to do God's work and water down what God is trying to do. "I have experienced duplicating discipleship (as I understand 2:2) outside professionalism, but not within." I have been able to make disciples as a pastor but also my time was taken with problems in the church. Discipleship gets rid of problems because the people who are being discipled are learning to walk with God and reach others. I have sent people out two by two and it was great to see what happened in some cases. Jesus saw the crowds and had compassion on them. So must we. We are not able to help everyone and not everyone is willing to follow closely. I don't know of anyone who has made disciples without meeting with those he is leading in a one on one situation. I had that discussion with a staff member in a church that claims to do discipleship and he disagreed with me. When I started asking him to name those who are reproducing themselves he named how many small groups they started. When I asked him to give me the direction he leads them he could not name anything beyond what I would call a fellowship group. A few weeks ago I had a discussion with a man not much older than me. We discussed why some groups have done well and why others have not. He said the difference is some say "come join us and we will make you a leader." One other one we noted says, Come join us we will help you to follow." We don't make leaders. We help others to follow Jesus. "A few weeks ago I had a discussion with a man not much older than me. We discussed why some groups have done well and why others have not. He said the difference is some say "come join us and we will make you a leader." One other one we noted says, Come join us we will help you to follow." We don't make leaders. We help others to follow Jesus." Wallace says . . . thank you!